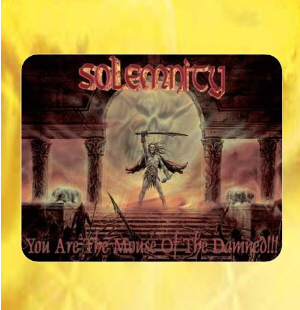 The ultimate Solemnity-Mousepad 24 x 19 cm: 'You're the Mouse of the Damned'. Cover picture of the actual album. 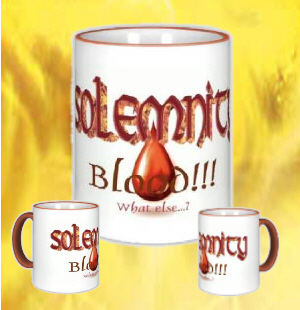 Coffee Cup 'Blood - what else?'. Yes, you can use it for 'hellish' tea as well! The original tour poster of our show 2005 - 60 x 80 cm. The original tour poster of our show 2003 - 60 x 80 cm.